In just a few more days For the Love of Horror will take place in the Bowlers Exhibition Centre in Manchester (UK). This brand-new concept will be a crossover between a Horror Convention and a scare event. Since I happen to be in England for a family visit, I will be checking it out this Saturday. In earlier articles, I already wrote about the Horror actors and actresses that will be attending the event (check out part 1) and about the scare attractions at the event (check out part 2). And now in the final part of this trilogy, I will tell you about all other things to see and do. Besides Horror actors, there will also be Horror authors, Cosplayers, Live Art artists, traders and some other attractions. 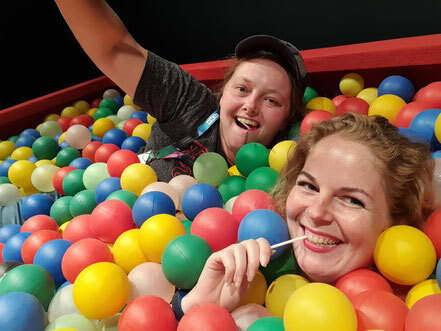 If I hadn't already convinced you to come and check the event out, hopefully this article will do just that! What would a convention be without some great Cosplayers? Exactly! Every convention needs some great Cosplayers and For the Love of Horror is no exception to that rule. Some very cool Cosplayers and Cosplay groups will make their way down to the Bowlers Exhibition Centre and of course I will give you a short introduction to all of them. Hold on to your "stuff 'n thangs", because the best Rick Grimes impersonator in the world will be in Manchester this weekend. Meet Cecil Garner AKA Cecil Grimes...the winner of Walker Stalker's Rick Grimes Lookalike Contest 2016. 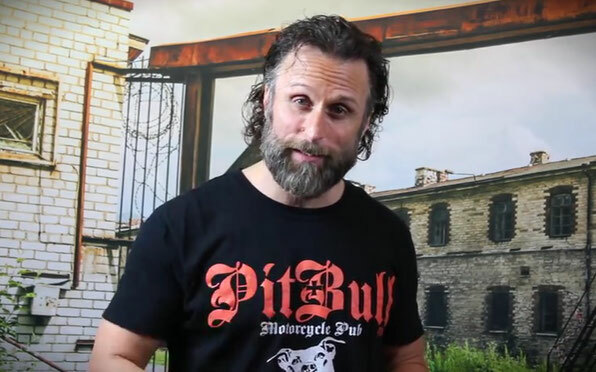 I mean, the guy really is a dead ringer for Rick Grimes (one of the main characters of AMC's "The Walking Dead") and he turned his hobby into a full-time job. In 2016, the (at that time 43-year-old) American quit his job (as professional banker) to become a full time Rick Grimes cosplayer. He even started his own business, called Cecil Grimes Cosplay and started with a new concept called 'Setplay'. This 'Setplay' consist of Cosplayers around the world building their own sets, to enhance their Cosplay performance at conventions. When Cecil comes to a convention, you get the whole package. He has a set, a professional photographer and a lot of Zombies, to really make you feel like you have walked onto the set of "The Walking Dead". Besides all of this Cecil also started acting, writing and producing. Mr. Grimes will be attending For the Love of Horror on both Saturday and Sunday, so be sure to pay him a visit. If you want to know more about Cecil and his shenanigans, check out his website and social media channels. Cecil will be attending For the Love of Horror on both Saturday and Sunday. He will be doing a Q&A, together with Notorious Negan on Saturday from 13.45-14.15 p.m. Wherever Rick Grimes goes, Negan goes. And this will be no different at For the Love of Horror. 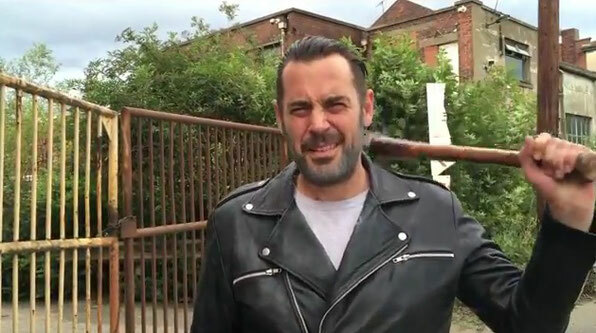 Darren Tilson, AKA Notorious Negan, first appeared at the Cosplay scene on MCM Comic Con in Birmingham (late 2016) and as soon as he entered the convention people were asking to take a picture. Darren has been a long-time fan of "The Walking Dead" and Horror movies (especially the early George A. Romero movies). People had been occasionally telling him, he looked like Jeffrey Dean Morgan ever since Morgan appeared in "Supernatural". When Morgan got the part of bad guy Negan in "The Walking Dead", Darren was told he looked like him all the time. When Darren went to Whitby (UK) for Halloween, he dressed like Negan. Later that year, he made his first appearance as Negan at MCM Birmingham...and the rest is history. Besides his Cosplay as Negan, Darren is an artist. He works on personalised cartoon art and earlier on did commissioned paintings of Marvel, DC and Horror (like "The Walking Dead"). Because of his uncanny resemblance to Negan, he gets invited to conventions a lot. This gives him the chance to showcase and sell some of his artwork on the conventions. When Darren has some time off, he likes to go riding on his motorcycle. If you would like to see more of Darren, check out his Facebook page, just search for The Notorious Negan. Darren will be attending For the Love of Horror on both Saturday and Sunday. He will be doing a Q&A, together with Cecil Grimes on Saturday from 13.45-14.15 p.m.
Z Walkers are a child friendly group of Zombie Cosplayers. They will be searching for a new meal on both days of the event, but don't worry they are not a scary as they look. This Cosplay group is available for all kinds of events and they do a lot of charity for children's causes. Recently the group made an appearance at Walker Stalker Con in London. 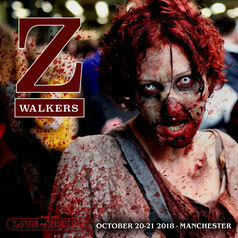 The Z Walkers will be attending For the Love of Horror on both Saturday and Sunday. 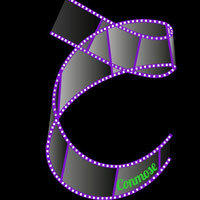 This UK based professional costume group, specializes in Horror themed costumes. It is regarded as one the UK's leading Horror Cosplay Groups. Among their wide range of costumes are: Michael Myers, Twisty the Clown, Jason, Freddy Krueger, Jack Torrance, Captain Spaulding, Pennywise and many more. Check out their Facebook page for some amazing pictures. Horror Icons will be attending For the Love of Horror on both Saturday and Sunday. On Saturday at 5 p.m., their very own Peaches and Scream, will do a Q&A at the main stage at For the Love of Horror. End of Days Events offers unique Zombie survival experiences. 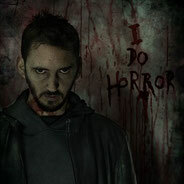 They can be hired for stag or hen parties, corporate events or just for a day of horror with your friends and family. You can choose a custom-made experience based on your favourite Horror movies. With state-of-the-art airsoft guns you can feel what it's like to be in a real life and dead zombie experience. Will you fight or flee? For more information check out their website or social media channels. 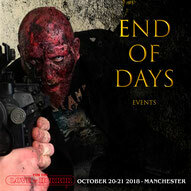 End of Days Events will be attending For the Love of Horror on both Saturday and Sunday. Taker.UK is one of the most popular figures on the convention scene throughout the UK. And now Taker.UK experience is coming to Manchester and brings you one of the most beloved superstars in the history of wrestling. His real name is Si and he travels around the UK, cosplaying the WWE Legend The Undertaker. I dare you to get in the Deadman's iconic casket to take a picture. Maybe you can even get your hands on the WWE Champions Belt. 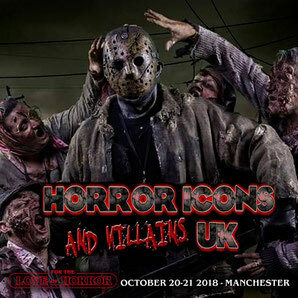 Taker.UK will be attending For the Love of Horror on both Saturday and Sunday. Central Legion started out as a Star Wars Costume Group for customers in the UK Midlands. One of the co-founders, however, suggested that it might be fun to have more diversity in the group. Soon the group became, what it is today. It serves all kind of areas of fandom (such as gaming, comics and all areas of film). Central Legion was established in August 2017 and has been attending events (over 50) ever since. They have also been raising money for all kinds of charities (over £4000 already). Their aim is to make Cosplay easily accessible for all kinds of people. Central Legion will be attending For the Love of Horror on both Saturday and Sunday. Self-taught body painter and social influencer Ruby True has a lot of experience in the spotlight. She has been working as a model and side show performer for many years and uses this experience to entertain people through online content. Ruby has a very busy life and she brings balance to it by practising Yoga. She is a qualified Yoga teacher and has a love for anything mysterious or paranormal. Check out her stream on Twitch. For more information go over to her website. Ruby True will be attending For the Love of Horror on both Saturday and Sunday. Three of UK's finest horror authors will be making their way to For the Love of Horror in Manchester on the 20th and 21st of October 2018. Matt Shaw, David Moody and Mark Cassel will be attending For the Love of Horror on both days of the event. Early 2018, Shaw completed his directorial debut with the feature length adaptation of his best seller Monster (with a role for author Mark Cassell, who will also be attending FTLOH). Matt Shaw will be signing books, comics and movie posters. He will also be bringing a selection of his controversial cuddles: DeadTeds. David Moody is mostly known for his HATER and AUTUMN series. In 2006, Moody self-published his HATER. He succeeded to sell the movie rights to Mark Johnson and Guillermo del Toro. His zombie novel AUTUMN has also been made into a movie, starring David Carradine. Moody seems to be fascinated by post-apocalyptic stories and he is inspired by stories like "War of the Worlds" and the original " Night of the Living Dead movie. 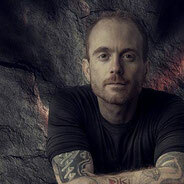 Mark Cassel is the writer of the bestselling novel The Shadow Fabric. In 2018 he had a role in the movie "MONSTER", directed by... Matt Shaw. Mark is a familiar face in the convention scene, where he normally sells and signs books. Besides this he also sells his photographic art and takes selfies with fans. Do you even wonder what is going on in the mind of serial killers? 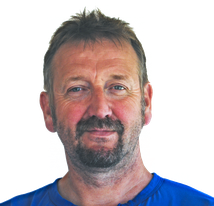 Former Police Detective Paul Harrison has interviewed some of Britain's and the world's most notorious serial killers. Some examples of the crazy minds he has been into, are: Jeffrey Dahmer, Robert Maudsley (Britain's own Hannibal the Cannibal) and John Wayne Gacey (Killer Clown). He also worked together with the FBI's Behavioural Science Unit in Quantico (you know the guys and girls starred in "Criminal Minds". 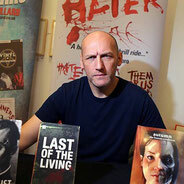 Britain's very own Mindhunter will be signing his new book (Mind Games - Inside The Serial Killer Phenomenon) at For the Love of Horror. Besides this he will also be sharing his stories in a one hour talk at both days of the event. Do you ever think your house is haunted? Are there doors that open and close for no reason? Maybe you can hire the team of Twilight Ghost Hunts. 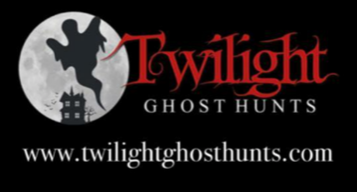 At For the Love of Horror, Twilight Ghost Hunts will be providing free Ghost Hunt Workshops. At these workshops they will explain and demonstrate all sorts of Ghost Hunting equipment, teach ancient methods and answer all your questions. There will be 30-minute workshops at different times. There will be time slots, where you can sign in on. get yourself over to the BEC Arena in Manchester and indulge in all things Horror. See you there!